Low cost earth abundant absorber materials are set to play a major role in future generation thin film solar cell technologies. Here, we have utilized a facile approach of dissolving elemental precursors, viz copper, tin and selenium, to synthesize earth abundant Cu2SnSe3 (CTSe) nano-crystals using the solvothermal method. All the metallic precursors were made to react with a mixture of thioglycolic acid and methylamine, and the reactants were dissolved in three different solvents—distilled water, ethylene glycol and oleic acid. 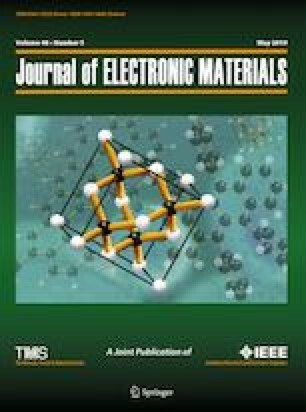 The influence of the solvents on the structural, morphological and optical properties of the nano-crystalline CTSe particles was studied. X-ray diffraction and Raman studies reveal that the CTSe nanocrystals grow in the cubic phase with a lattice parameter ∼ 5.6 Å. FESEM results reveal different morphologies including nanoflakes and nano-particles depending on the solvent. Selected area electron diffraction patterns confirm the crystalline nature of the products. Optical properties show that the optical gap of the nanocrystals is around 1.32–1.45 eV, which is in the band gap range reported in the literature and is optimum for solar cell applications. The photocatalytic activity of the CTSe nanocrystals was demonstrated by using the material for the degradation of methylene blue dye in the presence of UV–visible light. The results confirm that the CTSe nanocrystals exhibit good photocatalytic response, the best activity being seen in samples grown from water. We are thankful to IIC-IIT Roorkee for providing the EDAX, FESEM and XPS facilities, the University of Hyderabad for the Raman studies and Center for Nanosciences and Nanotechnology, IIT Kanpur for electrical characterization. We are also thankful to the CIF, Jiwaji University Gwalior for providing XRD and TEM facilities.